Modern and rustic graduation invitations for your celebrating your child's graduation from high school or college. personalized and custom printed with your party details. 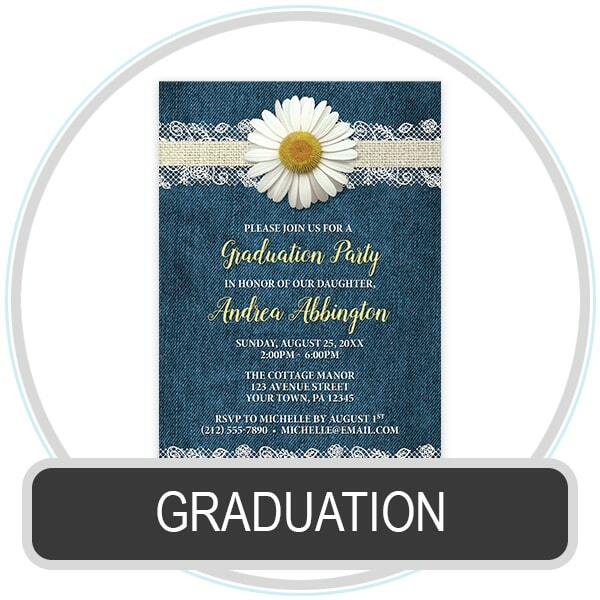 The graduation party invitations are available in a variety of floral designs, stylish patterns, and seasonal themes, for Autumn / Fall, Spring, Summer, and Winter.